"Life insurance is not an investment as there is no financial risk; there is a guaranteed death benefit"
The traditional use of life insurance is thought of providing death protection in the event of an unforeseen tragedy in a family. The main breadwinner provided coverage that would ensure the family had the adequate means to sustain a certain standard of living. To provide the surviving spouse sufficient income and funds to provide for the upbringing of the children and educational expenses. To a great extent it still serves this necessary and important function. In addition to this traditional viewpoint it also assumed that getting insurance coverage was only for the young and very healthy applicants. To a great extent this is still the case for many types of insurance coverages. However, the insurance industry has evolved and relaxed underwriting standards for certain medical conditions: one such condition is diabetes. In the past, any form of diabetes was an automatic denial. This is not the case anymore. Because type 2 diabetes in becoming more commonplace with the aging of baby boomers, many companies are hitching their wagons to this growing market. Even persons with type 1 diabetes are obtaining life insurance coverage, provided their intake of insulin is limited to 50 units per day or less. 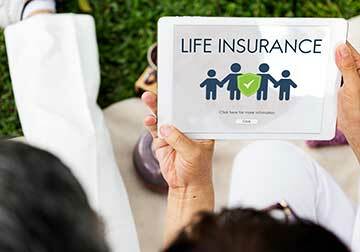 In addition to these breakthroughs in coverage, life insurance is also now looked upon as a way to build a tax-free retirement income. Whole life, universal life and indexed universal life insurance accumulate cash value which is essentially an asset. Life Insurance if used wisely, can generate a tax-free income. Using the policy loan option will enable the policyholder to borrow virtually interest free. For example, an insurance company has an interest free loan feature in its indexed universal life policy. In the sixth year of the policy, a policyholder has the option of borrowing at a rate of 6 percent. However, the company pays the policyholder 6 percent interest on the money. Thus, the policyholder has an effective interest rate of zero. Since the IRS treats this as a loan, this in not a taxable event. Hence, a tax-free retirement vehicle is available. Compare this Strategy, with the alternative of an IRA or 401-k which are tax deferred investments. Thus, both principal and the growth in the investment are taxable when withdrawals begin. For someone in a higher marginal tax bracket the savings using the cash value loan strategy could be substantial. Turning to term insurance, many young people elect this option since it’s a relatively inexpensive way to obtain larger amounts of insurance coverage. But term is what it says it is, term, meaning it will expire or go up substantially in cost if renewable. As an alternative strategy, one may look at purchasing a second whole life policy that has a smaller death benefit, say $25 to $50 thousand in coverage. This will ensure one having a back-up plan that accumulates cash value that could be borrowed against in the future. An old saying portends that “our only enemy is time and procrastination.” Since we are human, we tend to delay things. Consequently, the likelihood of contracting health problems increases with age. This in many cases makes it difficult to meet traditional underwriting standards. There is a solution, however, in the form of a final expense policy. Final expense policies are what they say they are, final expenses for one’s funeral. The good news is they are affordable and tend to have more liberal underwriting standards. Guaranteed issue insurance policies are also a good alternative for persons with pre-existing conditions. Both types of policies are issued in smaller face amounts, generally $3,000 to $35,000 in death coverage. Life insurance is a valuable asset to be used for buy-sell agreements, succession plans and key man coverage. It enables a business owner to use life insurance to provide the survivor a tax-free way to buy-out a partner’s spouse or pass onto heirs to pay off debts and estate taxes. Whatever the size of your business, Scott can help you implement insurance strategies that fit into your overall business plan. Call Scott at 715-204-8375 or email him at scotthovden@gmail.com.